We Curlies always dread it when we have to go for a hair cut and always try to find a stylist who understands our hair better. Well, to find a stylist is a little easier now, thanks to our Indian Curl Community where we get the first-hand reviews about stylists and products and do not have to rely on limited information online. 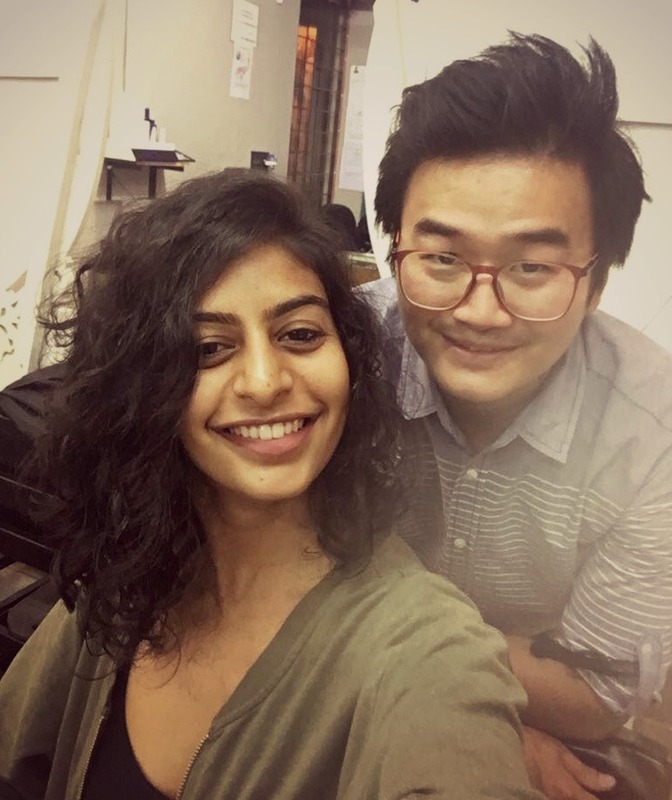 Today here we have on the couch, our most loved stylist in Indian Curl Pride from Bangalore, Daniel Liao (aka Danny) from Rock Paper Scissor. Tell us a little about yourself and what prompted you to get into hair-care? My name is Daniel Liao. 29yrs of age. I have been in the hair industry now for 10yrs. I was born and raised in Bangalore. What got me into hair was a sport that I love and played for many years, cricket. We traveled all over India to play, but on the off days we would go out , I loved styling my hair, so I said if I don’t make it big I want to do hair. and I did. Our readers always wonder what to ask a stylist when they go for a hair cut. 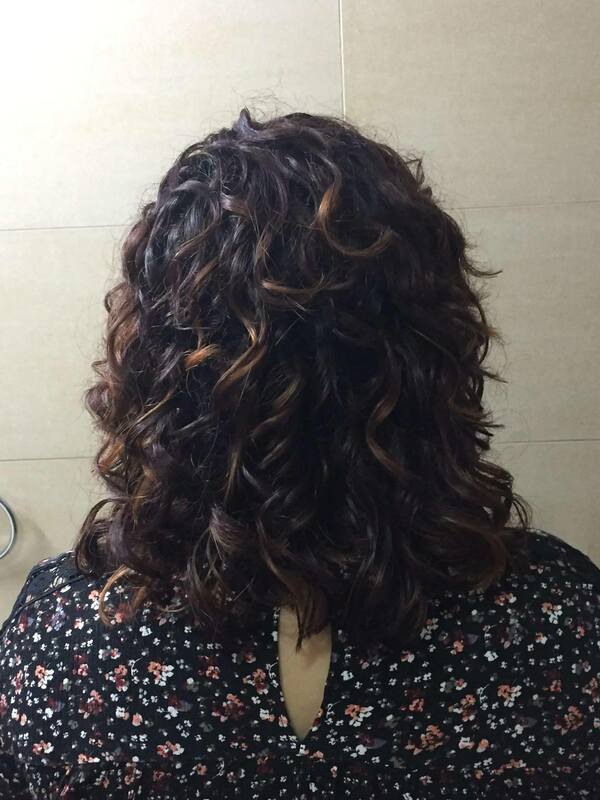 Do you have any advice about what they can ask a hair stylist to get some bounce in the hair and to enhance their natural curls. Round layers is what I would recommend, but again visual layering is what I would do post cutting, for example, if I need to add a few shorter pieces to frame the face , I would pick up by hand and slice into it. Here in my salon, we are only creating visual volume. Curly hair can lose its natural elasticity due to varies factors, water , weather , wrong products, etc.. or tying it too tight. or sometimes even natural drying as there is gravity that can stretch the hair down resulting with slightly looser curls. Highly recommend using a diffuser on ( cold air / med heat), it is absolutely safe. What are different kinds of layer cuts and which one suits curly and wavy hair the best? I believe in visual layering. Sometimes there could be too much weight at the bottom and less curling happening at the mid and top sections. That’s when the stylist need to use all that he’s learnt in hair school to decide the angles at which the section has to be cut at what angle. Also depending on the shape that’s been decided during a consultation. How often do you suggest getting the hair trimmed if someone wants to grow their hair longer? A hair trim is necessary for healthy hair even you when want to retain the length and aim to grow it longer. Depending on the condition of one’s hair , if hair is very dry , porous and damaged between 2 to 3 months , a quarter inch is more than enough. Otherwise 3 to 4 months is a good time to get a snip. 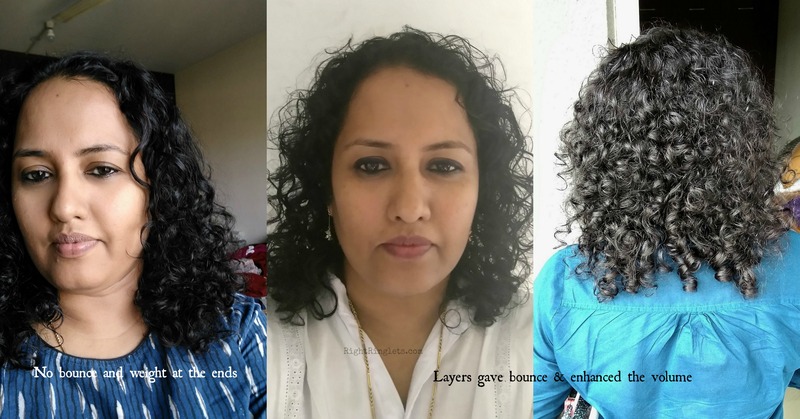 In India, whenever we Curlies go to a salon, then the most frequent advice we get is for straightening or smoothening instead of maintaining our natural hair. Why do you think this is? There are only 2 reasons, a business. Second lack of experience of the stylist in working with curly hair . Do you feel the natural hair trend is changing in India and more people are starting to embrace their natural hair more now than in the past decade when everyone was roaming around with poker straight hair. What do you suggest if somebody wants to go for coloring. What is the best practice to limit the damage and how to maintain hair post coloring. The lighter you go in shades the more it is exposed to dryness. You can limit the damage during coloring by opting for treatments like Olaplex or L’Oréal Professional Smartbond. Hair color does dry the hair by 5-10% which is easily manageable by using a good sulfate free shampoo and conditioner, but using good water to shampoo is also important. I recommend my colored hair clients to use drinking water to shampoo their hair only. As hard or chlorinated water can have a chemical reaction on your colored hair which then results in- faster fading of color, dryness and sometimes even breakage since the hair is weakest after a chemical service. Which hair colors are in trend these days? Color Trends have always been a Big circle of seasons. But I would say the cool browns are a big hit, a lot more clients are also trying funky hair colors. But the cool browns and cool blondes are major color selections. Who are your inspirations ? I live in Bangalore and pp desperately need a haircut. Yay! What a perfect time for this article 🙂 I was suggested Danny by Amritha who saw pics on your page and I booked him yesterday..can’t wait for the cut! Does Danny cut curly hair when it’s dry. I’d really like to find someone in Bangalore that does that. 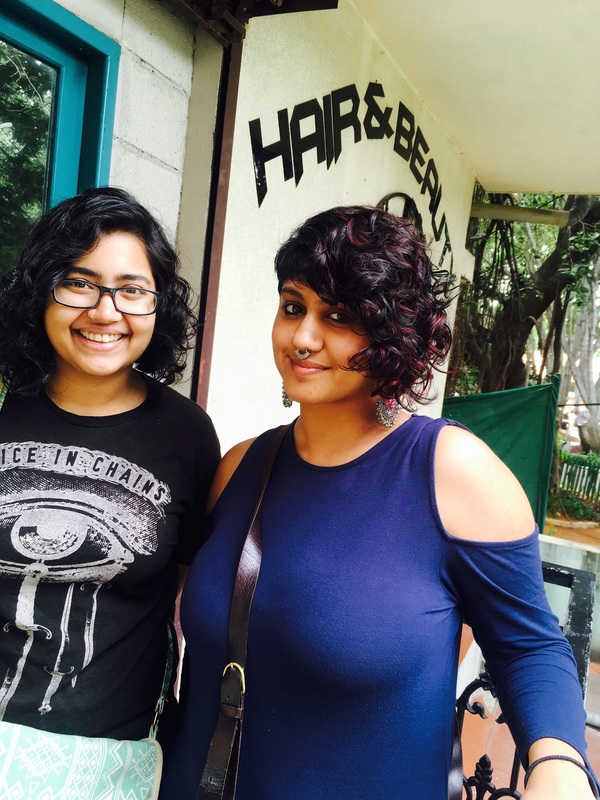 Preethi, this stylists list was recommended by Indian curls pride members. I do not have any personal experience with the stylist. You can directly check with him. Join our awesome Facebook Curly group!!! Click the pic below! I have had curly hair since childhood. Like most curly-haired girls in India, I used to long for straight shiny hair. Things changed with time though, now I really love my once dry, damaged, frizzy and unmanageable curly hair. Here I share all my tips and tricks to manage our curly locks. 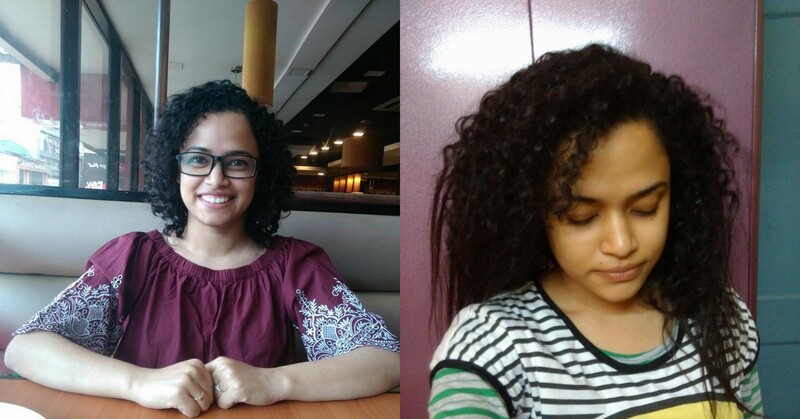 This blog is to help all those Indian people who are yet to discover their curly & wavy hair splendour and to help them transform their tied down curls to a glorious crown.